Luc Delauzun donated a kidney in the summer of 2011, when he was 25. Here is the speech Luc gave 3 months later. ‘My name is Luc Delauzun and I’m what is known as an altruistic kidney donor – that’s someone who donates a kidney to save or prolong a stranger’s life. I’ve been asked to say a few words about my experience. Before I get into the joys of morphine and hours spent watching DVD box sets I’d like to say a little bit about altruistic kidney donation. Altruistic donation was only legalised in 2006. Unfortunately, it’s still going to take us altruistic donors a long time to meet the needs of the 8,000 people who are currently on the waiting list for a kidney. If any of you here today are considering an altruistic donation then you would joining a very small group of people. I hope my short presentation – or at least the fact that I am standing here healthy and well enough to give it – is of some comfort to you. For the rest of you, I’m going to try to answer the obvious question. Why put yourself at risk for someone you have never met? I’m afraid I don’t have a simple answer to that. Heaven knows I’ve been asked about it enough by friends and family. My answer varies depending on who I am talking with and still today I’m thinking of new reasons why I am glad I have done it. But I think for me it is more than this. If I was in dire need of a kidney, would I accept one from a stranger? Of course I would. I suspect the majority of people would do the same. It is a shame that so many people would be willing to take but not to give, when they are capable of doing so. I’m lucky to be in a healthy state and have no history of kidney disease. Right now, I’m in no need of my spare kidney. There are 8,000 people who aren’t so lucky and may die if they do not receive one. When you weigh this up, what are a few weeks of discomfort in exchange for giving someone the chance to live? It’s now been just over three months since I donated my left kidney. I was out of action physically for a while, but I am now back to full health and other than a couple of scars, having one kidney less hasn’t affected me whatsoever. 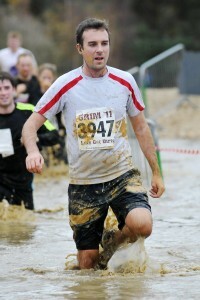 I’m doing sport again and will be running a 10k race for charity in November. I feel exactly the same as I did beforehand. I’d like to think the person who now has my left kidney feels a lot better. The total process of putting my self forward and going through the screening took about 18 months. I must give credit to the NHS team for the way they looked after me, everything from informing me of the risks to talking about the recovery process. The actual operation went very smoothly and following this I had a glorious 4 day, 5*, all-inclusive stay on the kidney ward receiving around the clock care from some wonderful nurses. I thoroughly enjoyed my morphine drip whilst it was available, but it was not necessary after the first day in recovery. Whilst in the ward I received great news that the operation for the recipient had gone very well and they were recovering fast. This was heart warming news and despite my somewhat groggy state I felt euphoric. I was discharged from hospital after 4 days and this was arguably the hardest part. The weeks that followed I received amazing support from my family and friends as I slowly got back to my normal self, I had to pop back on occasion for various bits but ultimately my dealings with the Kidney team at Guy’s had come to an end. I met some truly wonderful people during my time donating a kidney, both other patients and NHS staff.